Dominic Piers Smith plays the cello in the Oxford Studio Orchestra, but, as we found out recently, it is not his first instrument. He is also a highly accomplished concert pianist and has performed in numerous prestigious concert venues, including the Royal Festival Hall and the Wigmore Hall. Dominic started taking piano lessons at the age of six. Shortly afterwards he also began studying the violin, and at nine, after winning several local music festivals with the piano, he was awarded an Exhibition Award by Bedfordshire Youth Music to study at the Junior Department of Trinity College of Music, London. The award supported his musical studies until he was 18. Although Dominic also studied the oboe and subsequently became principal bassoonist in the Trinity College Junior Department Symphony Orchestra, it was always the piano which was closest to his heart. Frequently in demand as a soloist, ensemble member and accompanist, Dominic managed to balance his musical studies with his general education. During his time at Trinity, he was taught principally by Patricia Holmes. After agonising over which career path to follow, Dominic decided to turn his attention to science and engineering. He completed a Masters in Aeronautical Engineering at Imperial College, London, combined with a year’s study in Aachen, Germany. Following a final-year research project sponsored by the Ferrari Formula One team, he commenced a full-time career in racing car aerodynamics. He is currently Principal Aerodynamicist for Mercedes Formula One team, targeting the team’s fifth consecutive World Championship title with Lewis Hamilton. 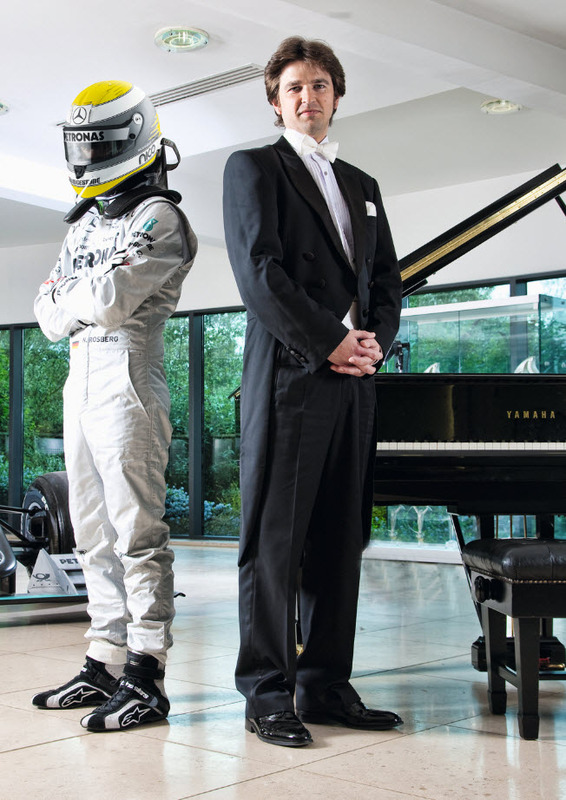 Music, however, has always been a prominent part of Dominic’s life, and alongside his career in Formula One, he recommenced his piano studies. With the help of renowned tutors Hilary Coates and Christopher Elton, he won both the classical prize and audience favourite award in the 2007 National Pianist-Yamaha Competition. His reward was a complete performance of Rachmaninov’s second piano concerto with the London Philharmonic Orchestra in the Royal Festival Hall, on 14th February 2009. Since then Dominic has won further prizes in several international piano competitions, and has given solo and concerto performances around the world, with both professional and amateur orchestras. Three years ago, Dominic started learning the cello with Peter Adams, joining the Oxford Studio orchestra in 2017. He also participates in informal quartets with other orchestra members. The orchestra is honoured to accompany him in Tchaikovsky’s first piano concerto and to have him as a member of the orchestra. Dominic’s website provides more information about his many achievements, his life and his repertoire.